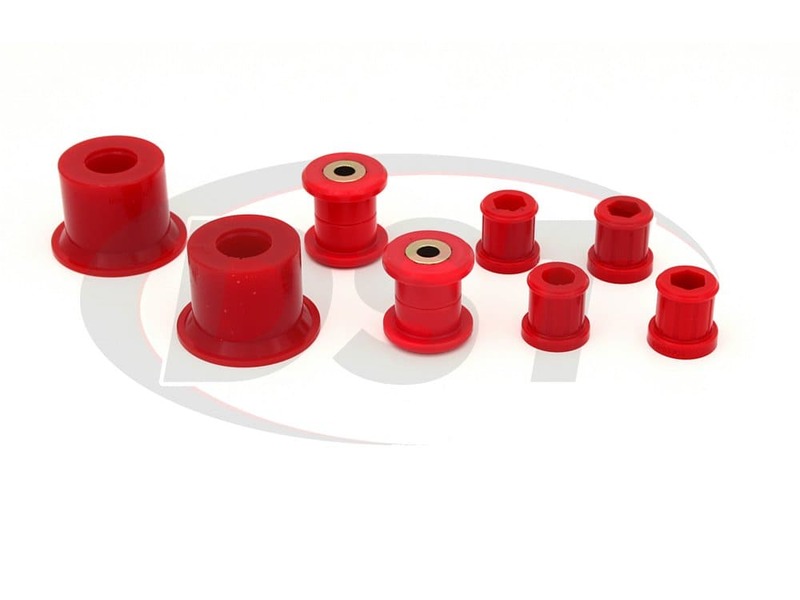 These polyurethane front control arm bushings from Energy Suspension will replace the soft original rubber bushings in your '05-'14 Jetta or '12-'13 Golf or other Volkswagen models. This means sharper steering, tighter front alignment, and balanced front tire wear. The front control arms are responsible for holding your Jetta's wheels in alignment and the original rubber bushings that hold the control arms to the frame absorb the vibration from the road so you don't feel it in the cabin. 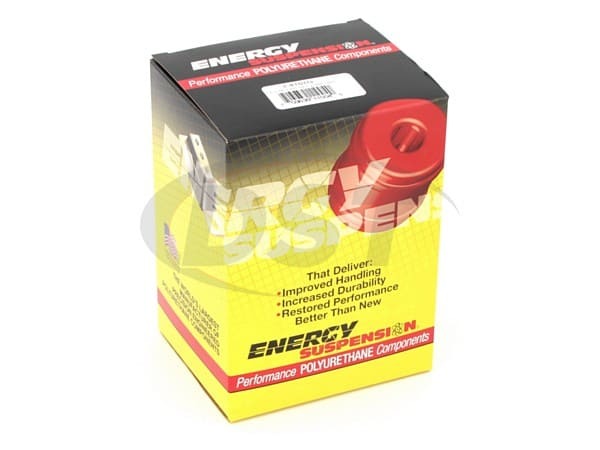 The downside of this soft connection point in your Volkswagen is that the flexing that takes place to absorb vibration can also allow the control arms to shift their alignment, meaning your wheels are no longer riding straight up and down. 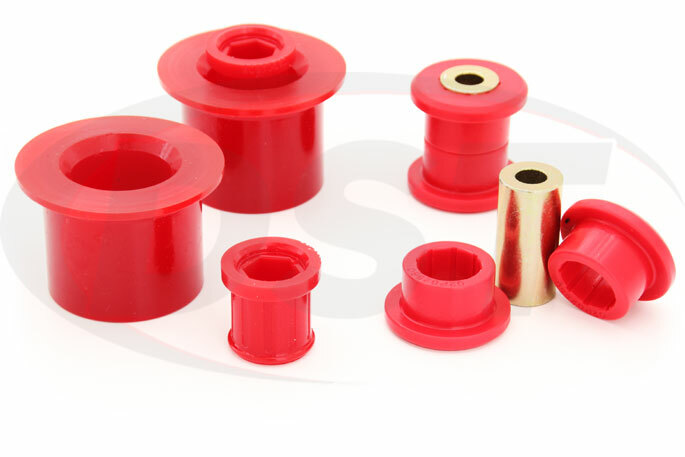 This often happens during a turn or if the rubber bushings have degraded due to age and the elements. It's nice to have a smooth ride but if you spend time on some rougher windy roads, like those around DST headquarters in Stephenville, TX, knowing that you have a full contact patch is important. 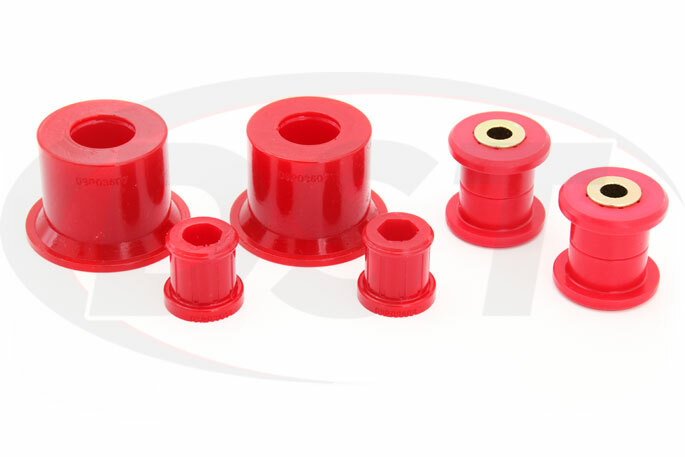 Energy Suspension uses polyurethane to construct these front control arm bushings which makes the connection between your VW Jetta's frame and control arms much stronger. This will allow you to take corners at speed without having to worry about the alignment of your front wheels shifting and decreasing the hand-sized contact patch which diminishes your traction in the front. Since this connection is much firmer you will notice an increase in noise and vibration, but you will also notice the benefits of solid front wheel alignment in tighter turns and less uneven tire wear. 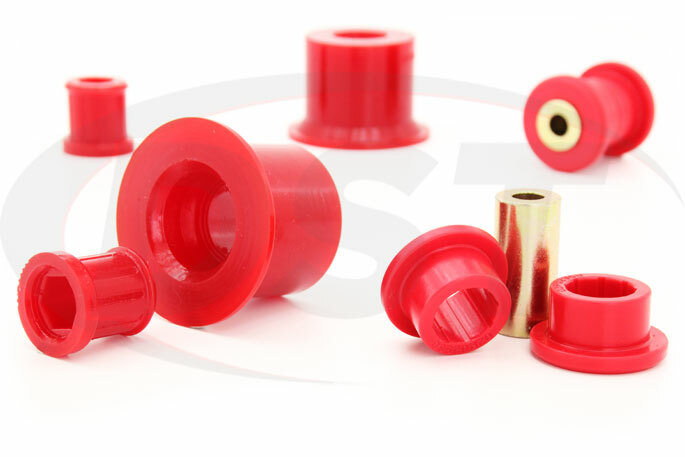 Another benefit of these bushings is the exclusive lifetime warranty that DST covers them with.